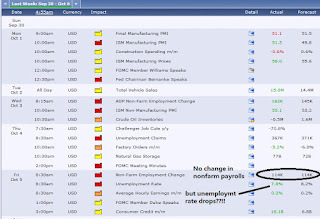 Daniel Loh: A in-line Nonfarm payroll report did not lift the market! 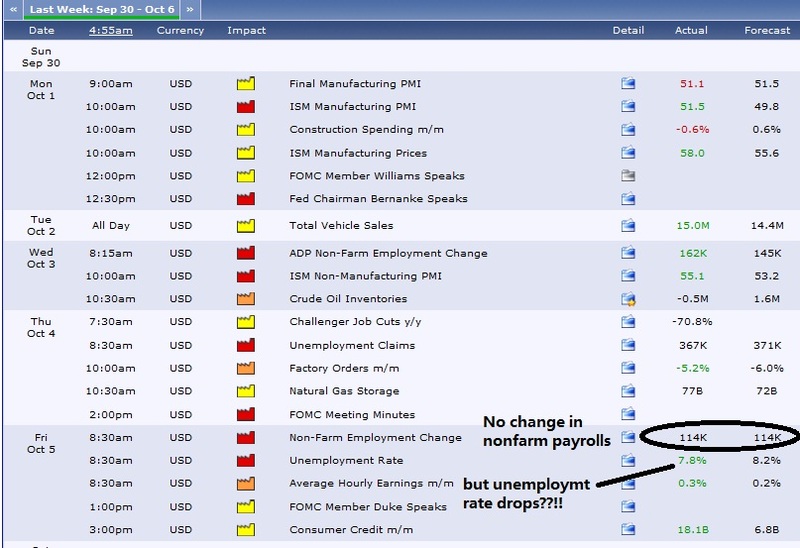 A in-line Nonfarm payroll report did not lift the market! Some of you may be puzzled why the good jobs report did not lift the market as much on Friday. Well let me explain a bit about Friday's results. Last Friday, there are actually 2 types of job reports. The most important one is non farm payroll. The other is unemployment rate. As I have explained last week, if non farm payroll is better than expectations, expect the stock market to be good. In the end, it didn't. It came in-line with expectations. Non farm payroll is actually a survey done by the U.S. Department of Labor Bureau of Labor Statistics. It surveys about 160,000 businesses and government agencies, representing approximately 400,000 individual work sites, in order to provide detailed industry data on employment, hours, and earnings of workers on nonfarm payrolls. This represents approximately 80% of the workers who produce the entire gross domestic product of the United States. Unemployment on the other hand is a survey done on just 60,000 households, a smaller sample size than the non farm payroll. Hence Wall street actually is more concerned with non farm payroll than the unemployment rate to know about the situation of jobs in America. So is the jobs situation considered very good in US last month? Not really, given the results from non-farm. Even Jack Welch, the ex-CEO of General Electric posted a comment on Twitter suspecting about the results. This did not help Friday market. However, do note that we still believed that the majority economical reports that will be released this month has a chance to be better than expectations. We continue to believe that S&P500 and Dow Jones will reach new high since the financial crisis this quarter. Though these few days there may be some turbulence, mid term wise (2-3 months), we think it is a good opportunity to accumulate some stocks if the stock market drops. Let us keep a lookout these few days.